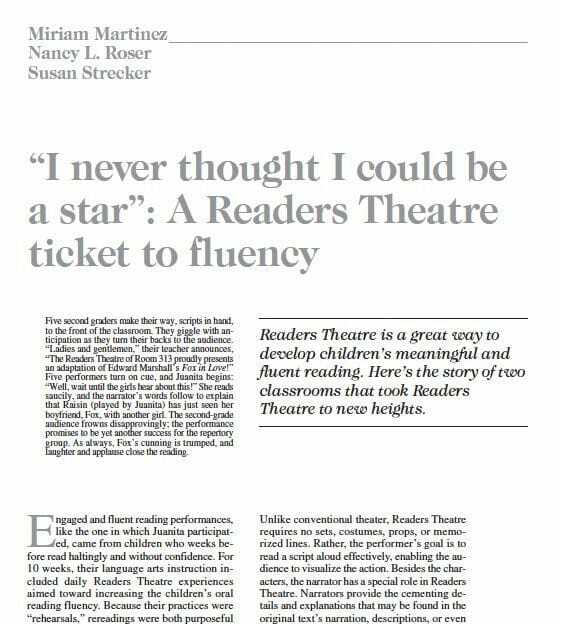 Readers’ Theatre is a fluency activity that helps students develop expressive, accurate and fluent reading. 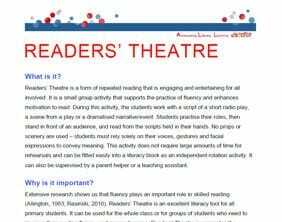 Groups of students use scripts that they read repeatedly for a script reading performance. The repetition helps develop their skills, while the rehearsal and performance provides a motivating and enjoyable opportunity to practice. Use this Powerful Practice with older students to add interesting, engaging and enjoyable ways to explore content material while building reading skill.